Music to get the blood pumping! Nothing like starting your morning out with a little ‘Eye of the Tiger’ 💪🏼. This morning at the breakfast table Iwas humming it for Jake, as he was a bit fussy and music always calms him / gets him dancing. Ali started saying “no no no mom it’s ‘Rising up..” I looked at Josh shocked! If you didn’t know it those are the first few lyrics to the song. For real this girl amazes me daily! Started the morning with oatmeal! And ended with an amazing cauliflower fried ‘rice’ made by yours truly!! The kids enjoyed it and made quite the mess eating it too. 😀 It was amazing! We’ve got a big boy!! Back from hiatus… carousel ride! Cousin time is the best time! Enter your email address to receive notifications when I post again! Catholic Icing Great Catholic printables, quick references and more! 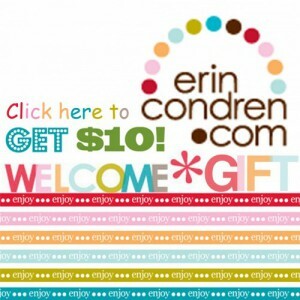 Erin Condren Life Planners & More – I'm Obsessed! Get $10 off your first purchase!! 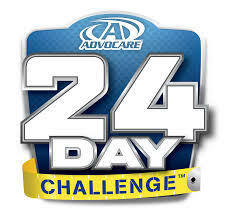 Get fit with Advocare Check out my site for all your Advocare needs!